Check out this minimix featuring our collection of finished edits! Released and unreleased. Many more are in the making. This entry was posted in Mixes on May 9, 2018 by Boris. The autumn winds are breezing in, and so are we at Stockholm’s grooviest hotel – Downtown Camper by Scandic. Every other Friday we’ll be playing our crazy, funky, multikulti beats. That’s a lot of Ajvar for 2017. But for those of you who haven’t been able to get down town we’ve made a mix so that you can create your own Ajvar hotel-bar-dance floor anytime suitable. For example breakfast. 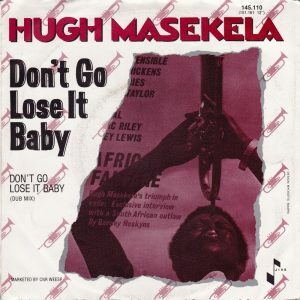 There’s Brazil boogie, Kwaito revolution, Dominican calypso, Malian bambara and the classic Hugh Maskalela. And if you want more come and chill with us at Brunkebergs torg from 22.00 – 02.00. Enyoy! This entry was posted in Recordings and tagged boogie, brazil, cumbia, oriental, zouk on September 22, 2017 by Emir. And then suddenly, it happens. After en extremely long and aggravating spring, having babies, diseases and other occupying thing to focus on, we finally make the comeback of the year. Probably the decade. And we’re doing it in style. 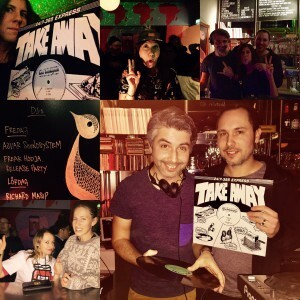 Featuring Greek electro from the 70:s, Control Machete:s Mexican hip hop, Arabic funkjazz from Al Massrieen and loads and loads of Afro-disco. Like South African bubblegum disco classic 707 by Om Alec Khaoli’s Umoja. 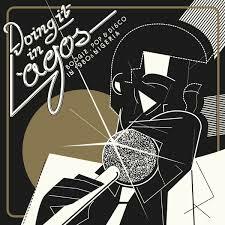 An excellent and significant contribution to the sound of the 80:s And instead of doing 1970:s Nigerian funk and disco like everybody else we’re Doing It In Lagos with Hotline. A little bit more electro funk and boogie but none the less brilliant. 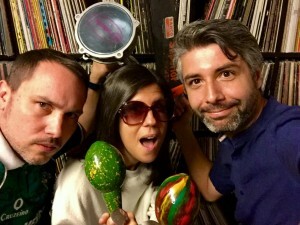 This entry was posted in podcast on May 27, 2017 by Helena. Freak Hodja! While you were looking away we’ve gone poppin our very first record just like that. 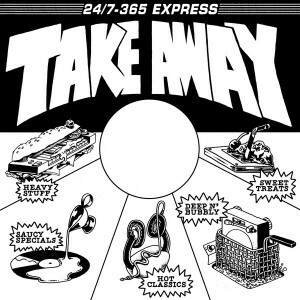 Honoured to be the premiere release at Take Away Recordswe’ve edited three of our favourite middle eastern funky disco tunes – now served in a slightly more delicious style. They’re so good they got staffs pick from Picadilly Records. 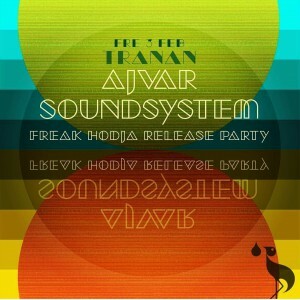 This Saturday we’d the official release at Tranans bar in Stockholm, where the record was tested for the dancefloor. Worked out extremely well for the late-night mode, but we can assure you it goes just as well for the preparty drink, breakfast sandwich or fancy dinner. May we take your order? Off course – Freak Hodja is available for example here, here and here. Bon appetit! This entry was posted in podcast and tagged Freak Hodja, Picadilly Records, record release, Take Away Records, Tranan on February 5, 2017 by Helena. If you’re into that jingle bells and Santa stuff. we’re sorry to disappoint you. Christmas shows just isn’t our thing. And since 2016 kind of sucked we’re all about gathering crazy, funky, multikulti beats with grove and love prepping for a 2017 that only can go higher. 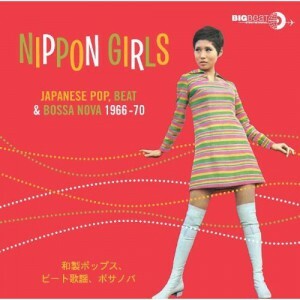 We do it with Japanese 60:s pop beats from Jun Mayuzumi, the first ever electronic space music themed record from former Yugoslavia between 1981 and 2015 Yugoslavian Space Program, Cairo force of nature Islam Chipsy and Finland’s very own Dracula Frederik. Our biggest hope for next year we put in the hands of Ahmed Gallab’s project Sinkane. The band has announced Life & Livin’ It, a new record to be released in February. The video for lead single U’Huh celebrates positivity in a world filled with countless not very nice things. But all states of mind have their exceptions. And Ajvar has one (1) Christmas tradition ftw. namely Freddie McGregor. The one and ultimate Christmas tune worth repeating. So, from all of us to all of you a very Irie Christmas. This entry was posted in podcast and tagged #crazyfunkymultikultibeats, #radioskanstull, Irie Christmas, Islam Chipsy, Jun Mayuzumi, Radio Skanstull, Sinkane, Yugoslavian Space Program on December 20, 2016 by Helena.